Once known as the Mongrel, Lahlil had only one purpose then: to reap blood and carnage for those who paid the right price. And though the ravages of past wars haunted her every waking moment, when Lahlil was called upon to lead the rebellion against Norlanders�telepathic and bloodthirsty invaders who conquered Shadari lands and enslaved their people to the mines�she delivered. Now, Lahlil must return to Shadar to save the person she loves the most and rebuild. What she finds first is a kingdom that has devolved to political discord, with an old enemy�s ships sailing just beyond the horizon. Strife�s Bane pushes a grand cast of familiar characters to the brink of ruin. 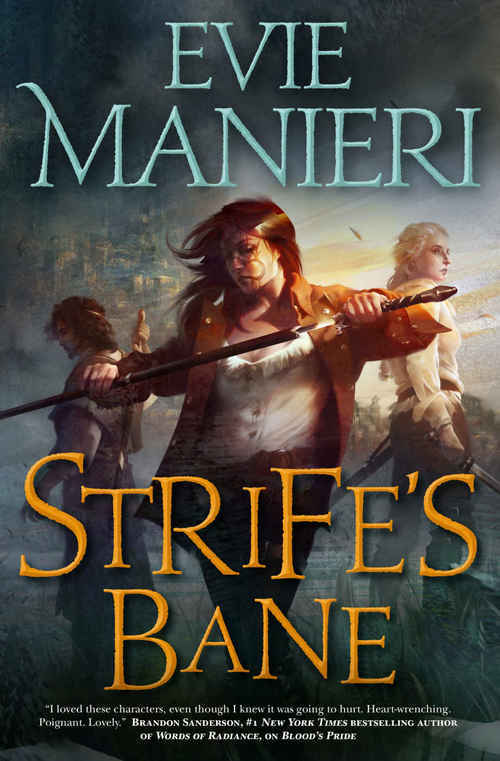 With Manieri�s unique blend of magic, blood, and dramatic tension, the stakes have never been so high.